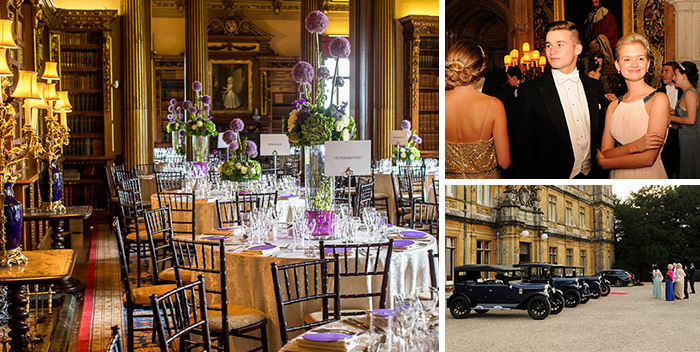 Highclere Castle is the perfect place to hold a reception to mark a private occasion such as a birthday, wedding anniversary or engagement party. Up to 200 guests can enjoy the State Rooms where our exceptional guides can talk through the artwork, furniture and answer any questions guests may have. Our team would be happy to arrange music or entertainment to tailor your occasion. If the weather is kind, guests can flow onto the South lawn to view the outstanding landscape. After 10, 25 or 50 years of wedded bliss who doesn’t deserve a fabulous party in a magnificent setting! Or perhaps you might wish to mark a milestone birthday and have an unforgettable reception, lunch or dinner bringing your family and friends together. Have you just become engaged and would you like to gather your friends together to celebrate? Mark your engagement with friends and family and host your party at Highclere. We can help create a celebration specifically designed for you. Celebrate your engagement with an exclusive photo shoot session at Highclere. We can provide the perfect romantic backdrop, with photographs in the splendid interiors of the Castle or in the gardens and follies surrounding it. Our team can recommend suitable photographers, make-up artists and hairdressers to ensure you capture your memorable day perfectly.